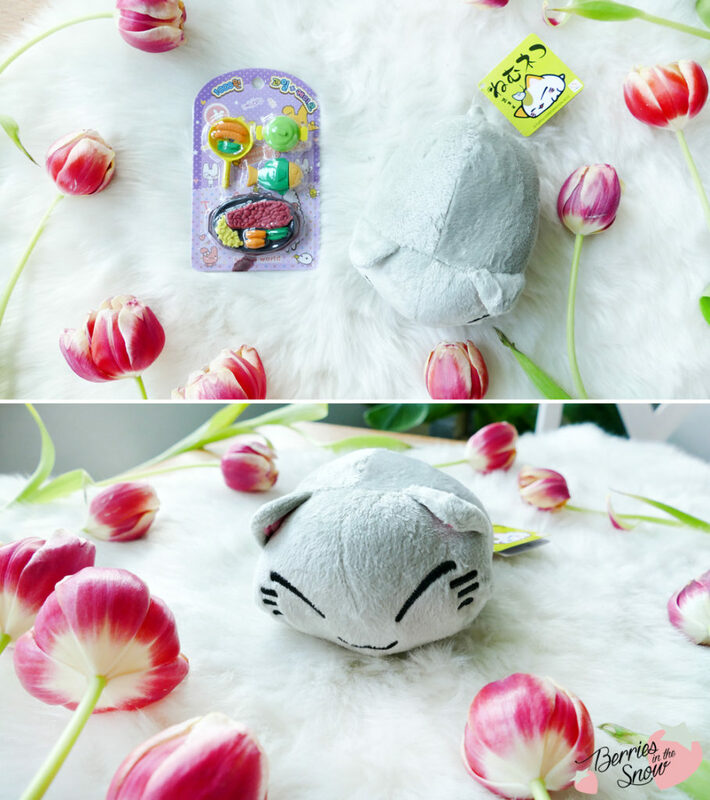 Let’s start with the products that were inside the Kawaii Box: This was actually the first time I saw and heard about a phone ring holder and stand. 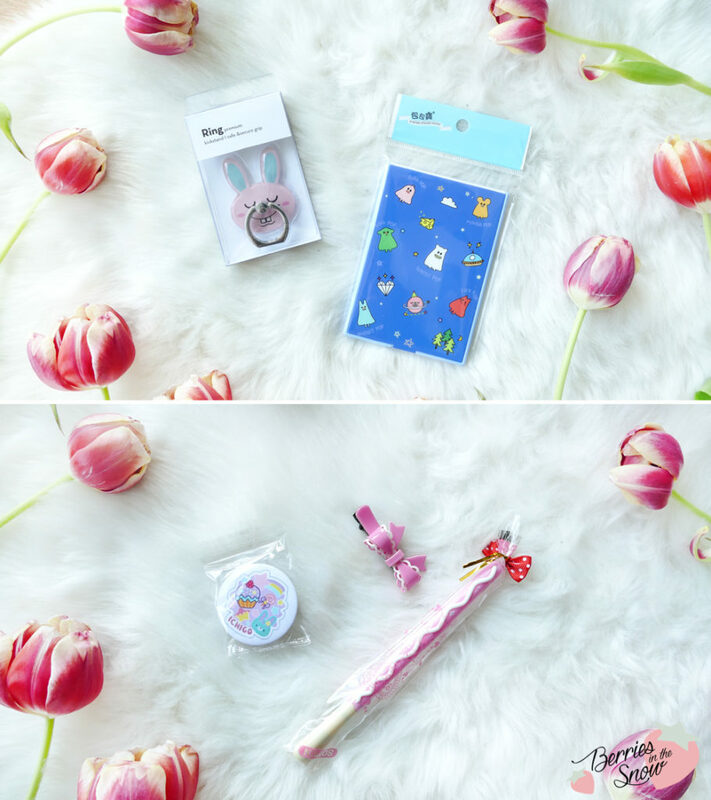 The kawaii bunny shaped ring holder can be attached to the backside of your phone (or your phone’s case) and used to pop up your phone on the desk. I’ve been loving this, especially it gives me additional secure grip while holden the phone in the bus or train for example. 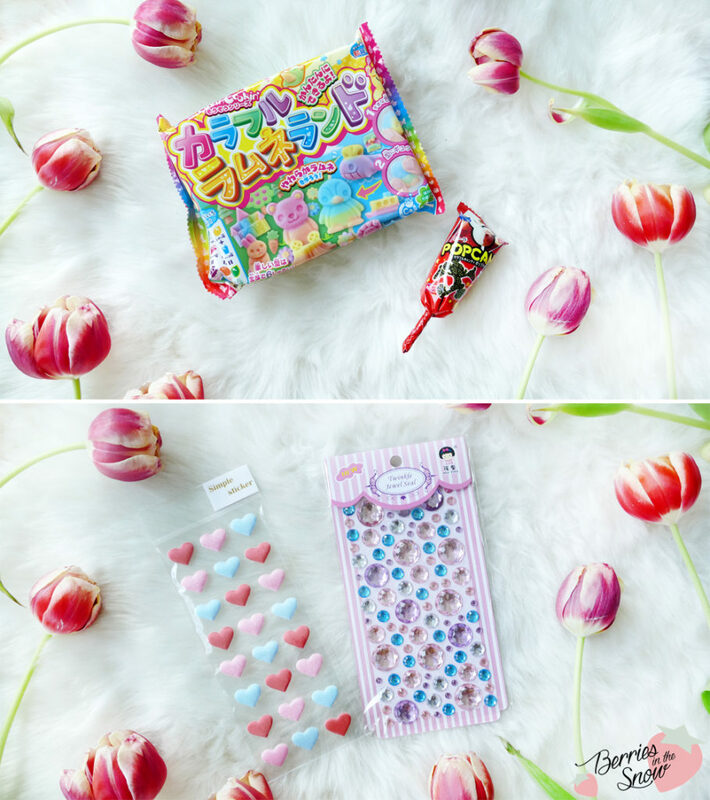 I also was very happy to discover the Ghost Pop Pocket Mirror in this box, because I love pocket mirrors and I love to exchange them regularly in my makeup pouch :D A cute Ribbon Hair Clip and a Harajuku Badge were also included, as well as a Pocky Stick Ballpoint Pen. I love Pocky Sticks to eat, and every time I go to the asian grocery store I pick up Pocky Sticks, if they are available. And a pen shaped like a Pocky Stick?! What else could I wish for :D ?! 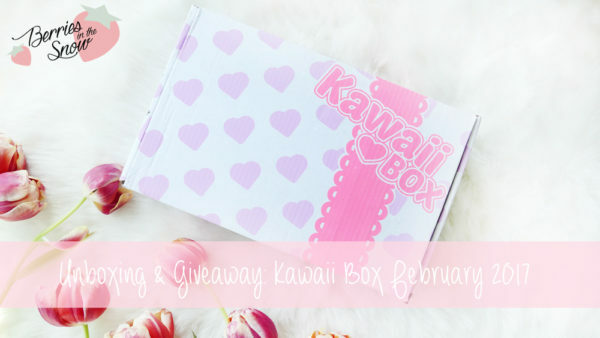 Every Kawaii Box comes with a DIY Kit and some sweets. 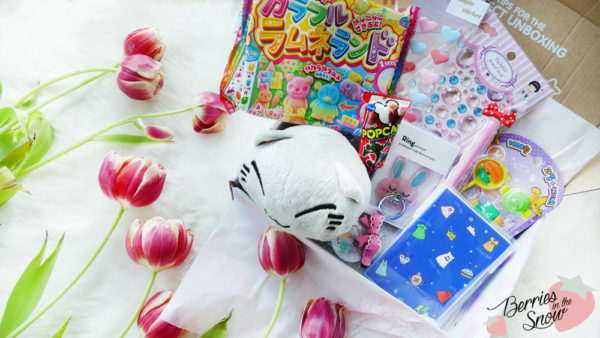 This time Kracie Popin’ Cookin’ DIY Kit Colorful Ramune Land was included., as well as Glico Popcan Disney Lollipop. 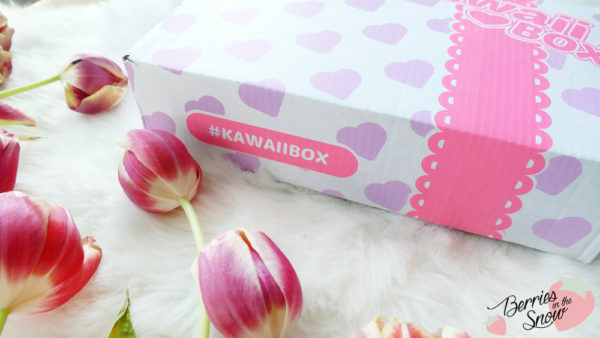 Stickers are also part of the Kawaii Box usually. Here, we have got Valentine’s Plush Stickers ( it was the Valentine’s Box, so this fits perfectly), and Twinkle Deco Jewels. Last, but not least, the box contained some Korean Meal Erasers and a Nemuneko Plushie. The plushie was of course the highlight of the box for me :D Isn’t it adoreable?! 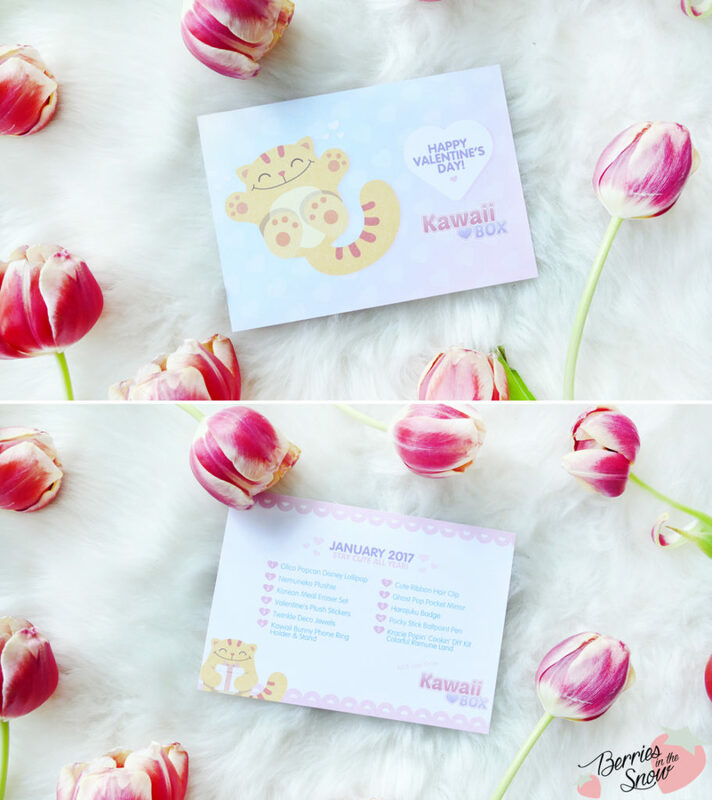 All in all, the Kawaii Box February 2017 was filled with many and versatile products, being cute and adoreable from top to bottom. 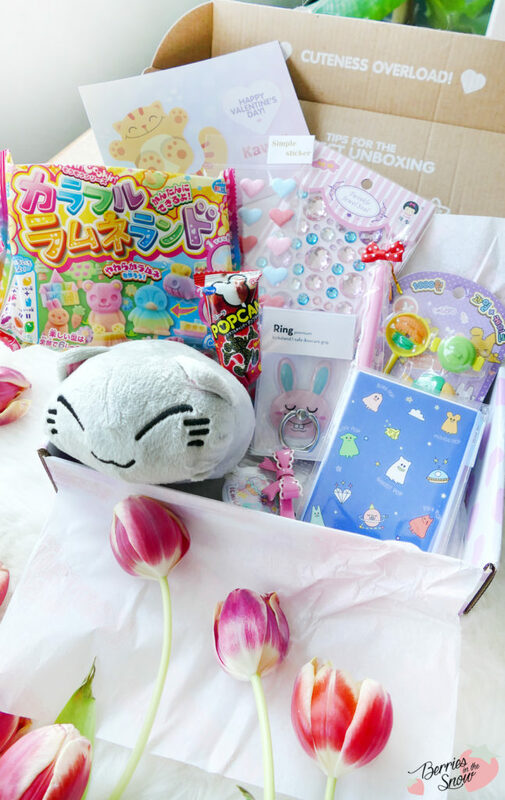 But as usual, since it is a surprise subscription box you never know what’s inside and there will be items that you will like more, and items that you will like less. 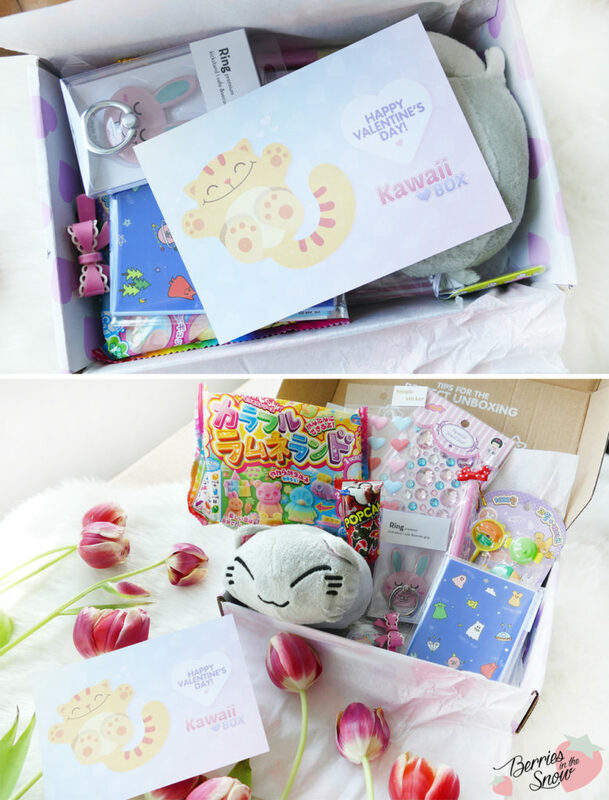 I think the Kawaii Box can be a wonderful gift for children and fans of kawaii stuff from Japan or Korea. 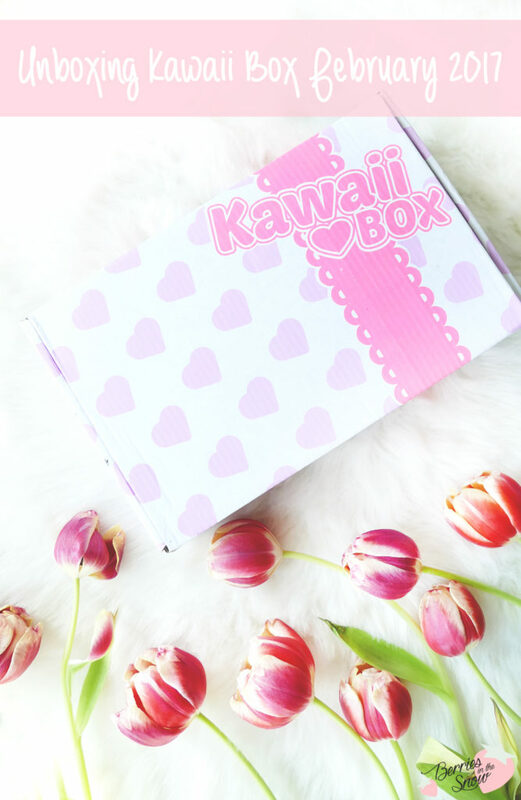 Did you try the Kawaii Box already’? Would you be intrigued to buy it?